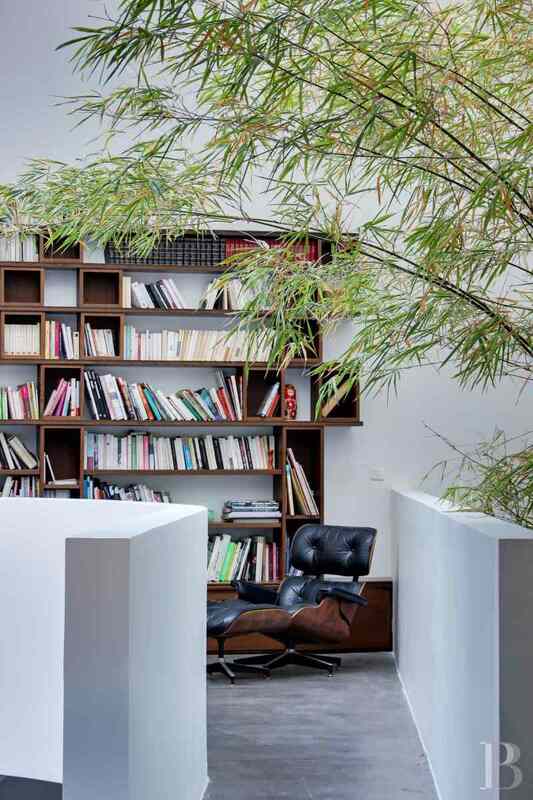 A 215 m², open-plan flat with an indoor Japanese garden under a 10 m high atrium near to Saint-Bernard-de-la-Chapelle church in Paris’ 18th arrondissement - appartments-for-sale - in Paris left bank and right bank - Patrice Besse Castles and Mansions of France is a Paris based real-estate agency specialised in the sale of Appartments, mansion houses, lofts-terrasses, houses. This open-plan flat, on land that once belonged to the La-Chapelle district, now in Paris’ 18th arrondissement de Paris, is near to Saint-Bernard church, the construction of which began in 1858. 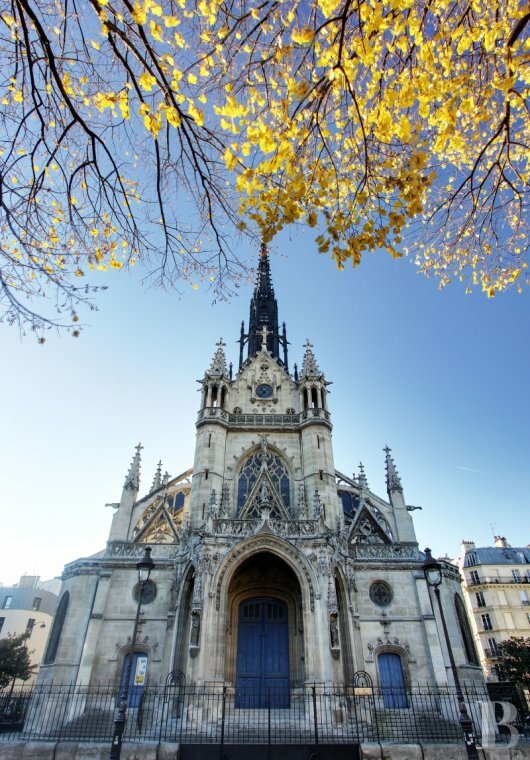 This neo-gothic style church is listed as a French historic monument. The nearest underground station, 400 m away, is La-Chapelle (line 2 with connections to RER train lines B, D and E). 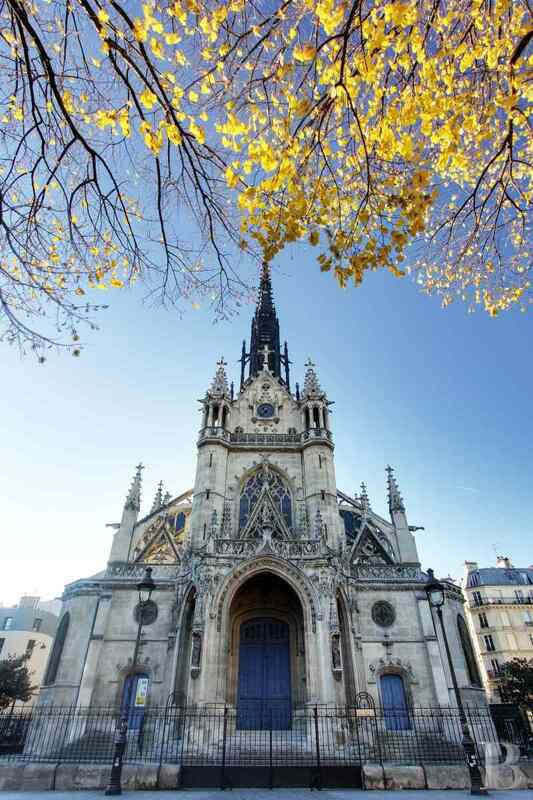 Paris-Gare-de-Nord (lines 4 and 5) is but 500 m away. 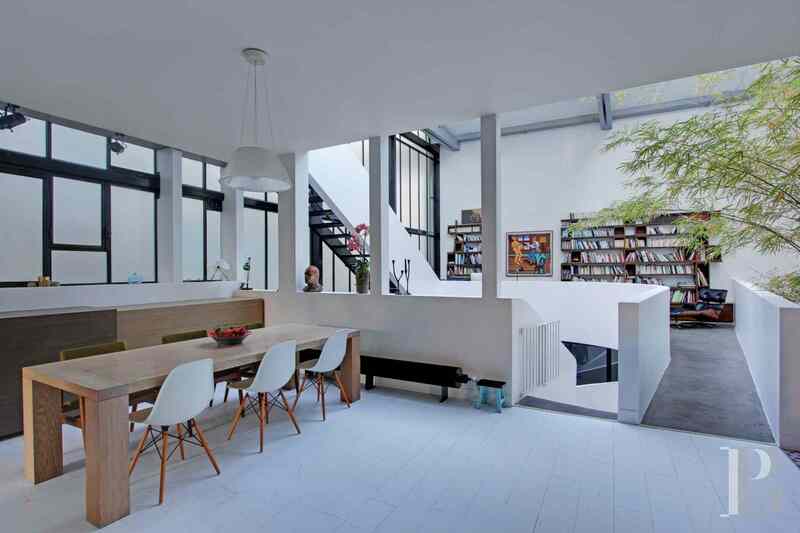 This self-contained, open-plan flat spans a floor surface area of 215 m² over three levels. The atrium is 10 m high. It is set in the peace and quiet behind a building with numerical keypad and interphone security systems. Extremely bright and sunny, it comprises three bedrooms, one on the ground floor, with a dressing room, a bathroom and a toilet. The other two, separated by a bathroom and toilet, are on the second floor. The south-facing living room on the first floor features three unoverlooked windows. 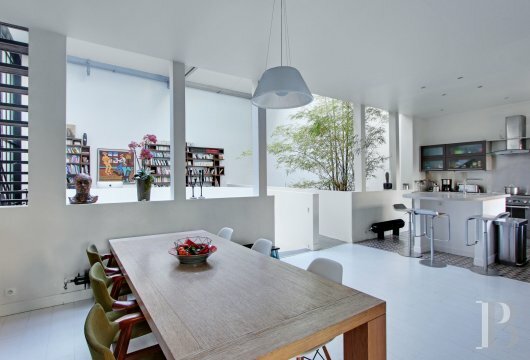 Opening into the dining room, the kitchen has an unobstructed view over a garden. 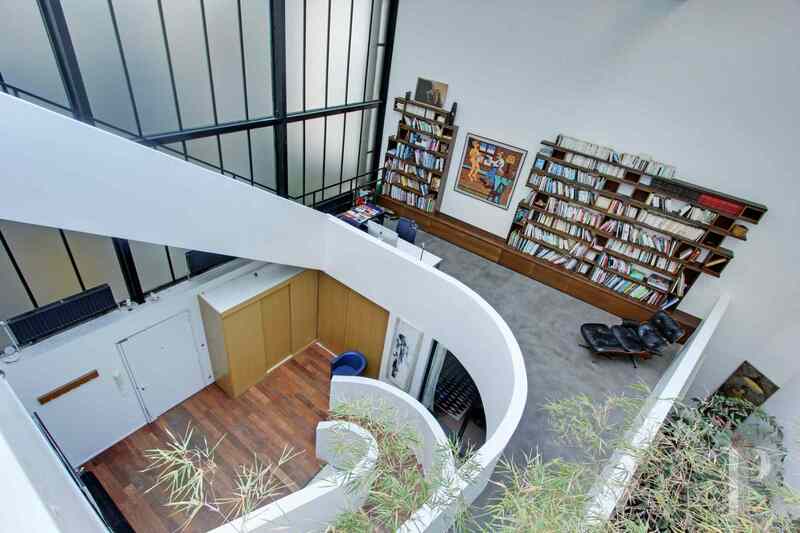 A walkway leads to a study area with built-in bookshelves. Bamboo growing in the Japanese garden on the ground floor almost touches the atrium roof. 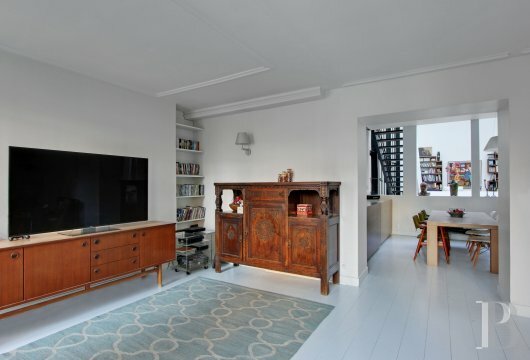 It would also be possible to additionally purchase an adjoining studio flat which would be on a level with the living room of this open-plan flat. Another possibility would be to add a floor with a terrace (design project available). 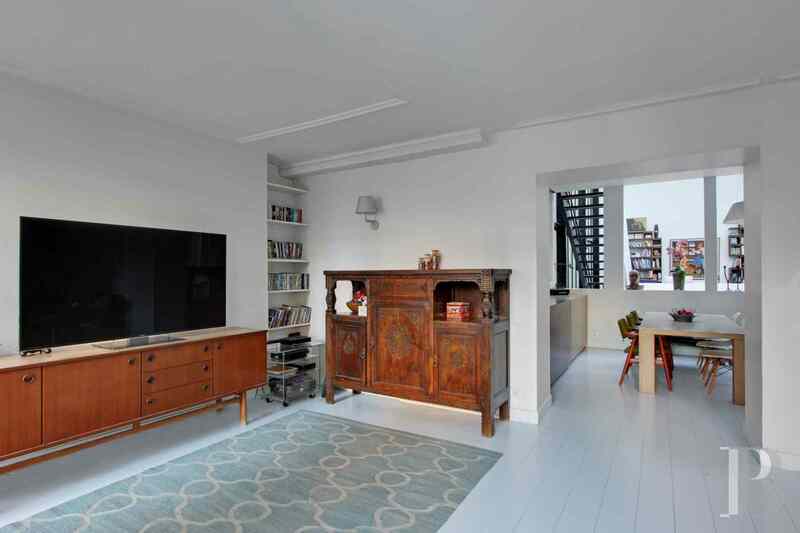 This flat is set in the peace and quiet, out of sight of onlookers, behind a building. 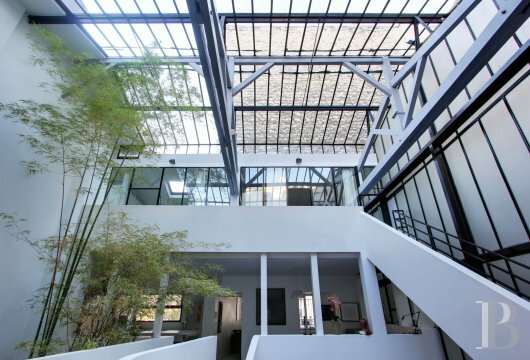 Its floor surface areas, spanning a total of 215 m² over three levels, are steeped in light via a 10 m high atrium roof and an opaque glass wall overlooking a courtyard. Access to the building is protected by an interphone security system. 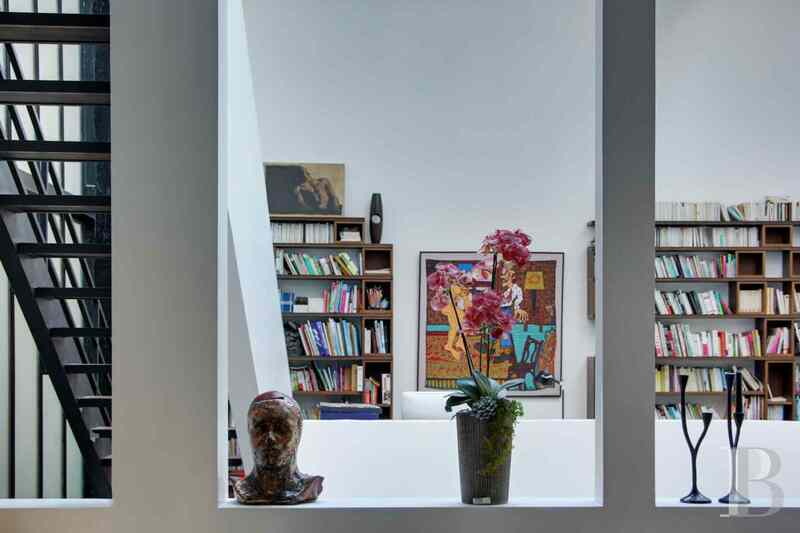 The front door of this flat opens into an entrance hall with built-in wooden cupboards, providing hanging space. A sliding door on the left-hand side provides access to a dressing room which, in turn, leads to the biggest bedroom. Two walls are picture windows with a view over the Japanese garden, planted with bamboo, which has to be crossed to reach the bathroom. Said bathroom comprises a bath with a view of the garden, two wash-hand basins and a very large shower which could take a sauna or a hammam. A door leads to a toilet and a laundry room. 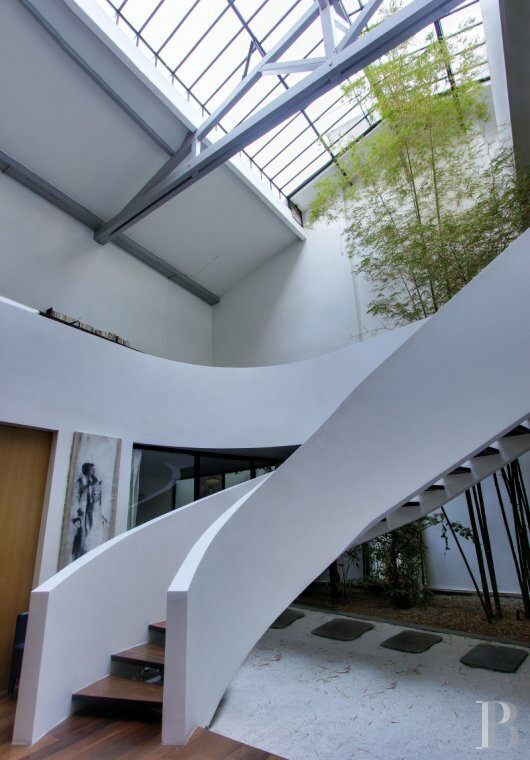 A curved stairway with wooden steps, facing the front door, goes up to the first floor. 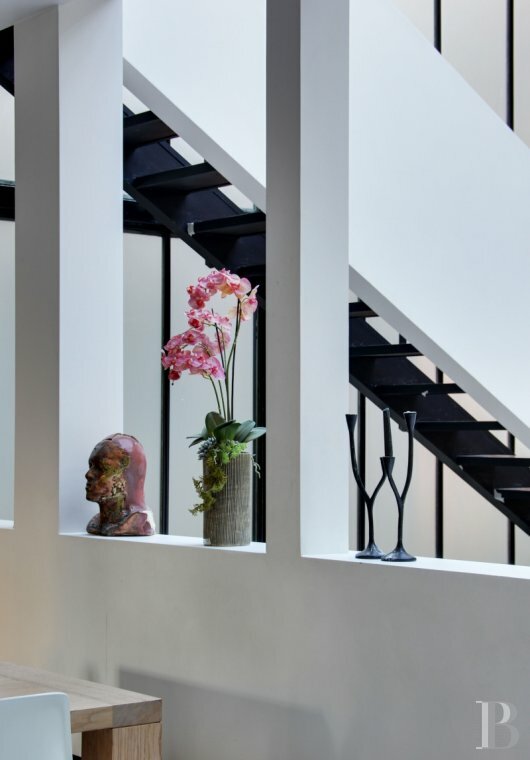 The stairway goes up to a large 35 m² room which, on the left-hand side, comprises an open-plan kitchen with cement floor tiles. Fully fitted, it features a central unit. A wide, south-facing sash window looks out over public gardens. The dining room area faces the kitchen. Running along the end wall is a low, built-in wooden cupboard with sliding doors. 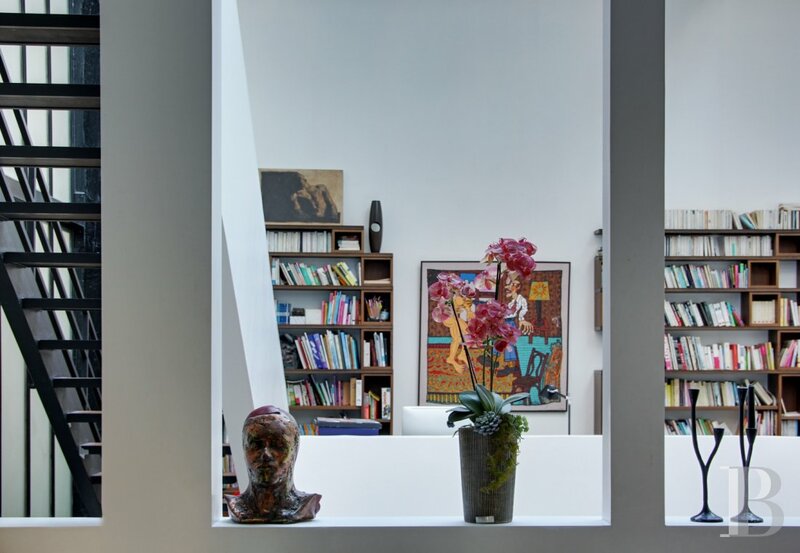 The left-hand wall features two openings, providing access to the 29 m² lounge, with its three, unoverlooked, south-facing windows. 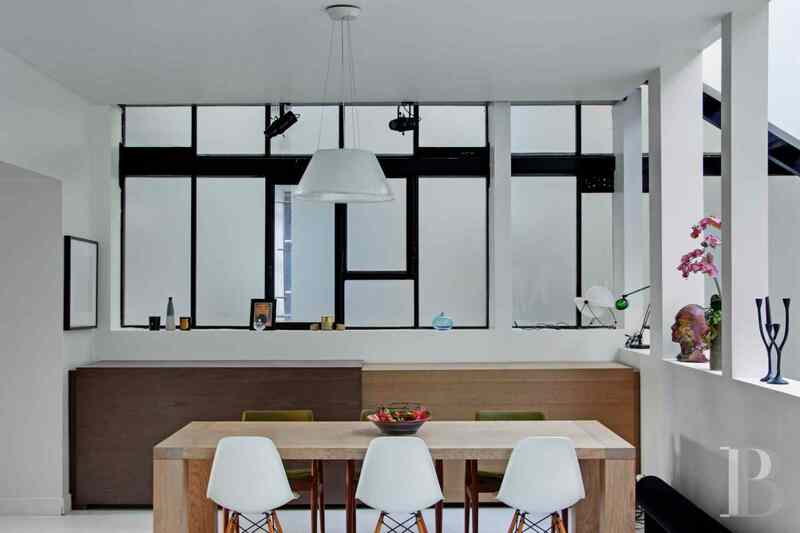 The lounge and the dining room have white-painted parquet flooring. A walkway crosses from the top of the stairway to the other side of the flat where a 31 m² area is currently laid out as a study with built-in bookshelves. 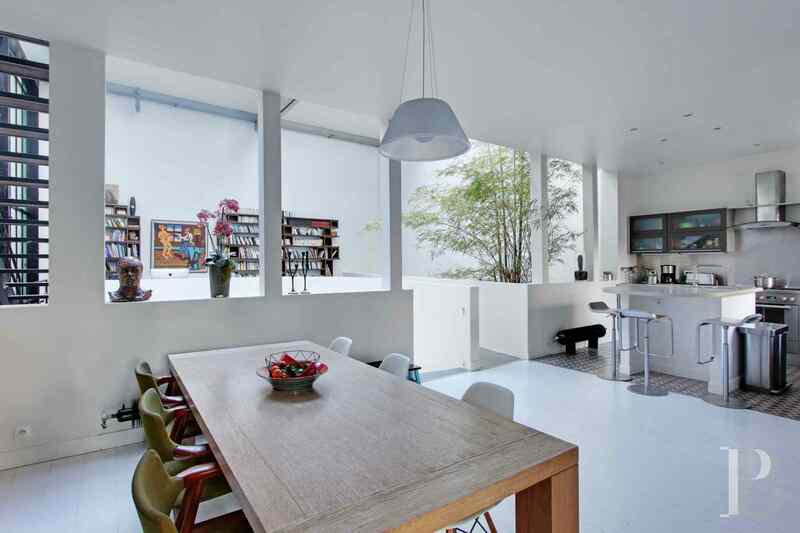 It has a polished concrete floor. 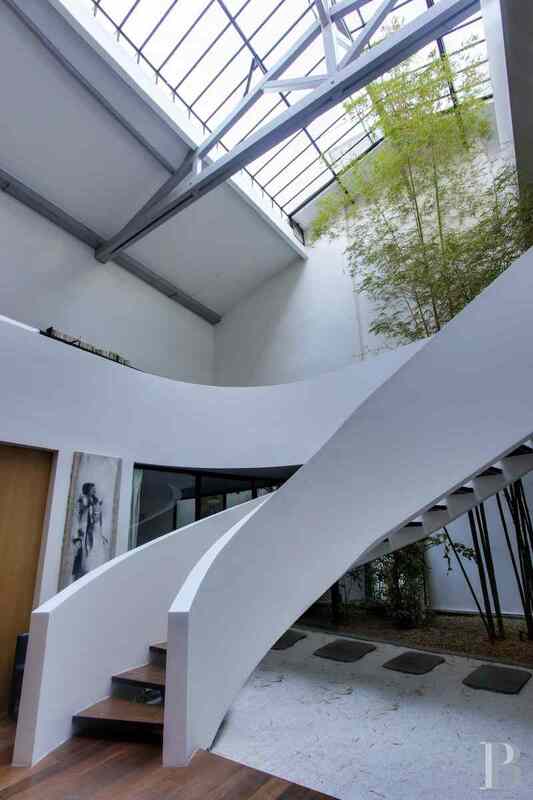 A straight metal stairway, running from here alongside the glass wall, goes to the second floor. A balcony corridor provides access to two bedrooms. 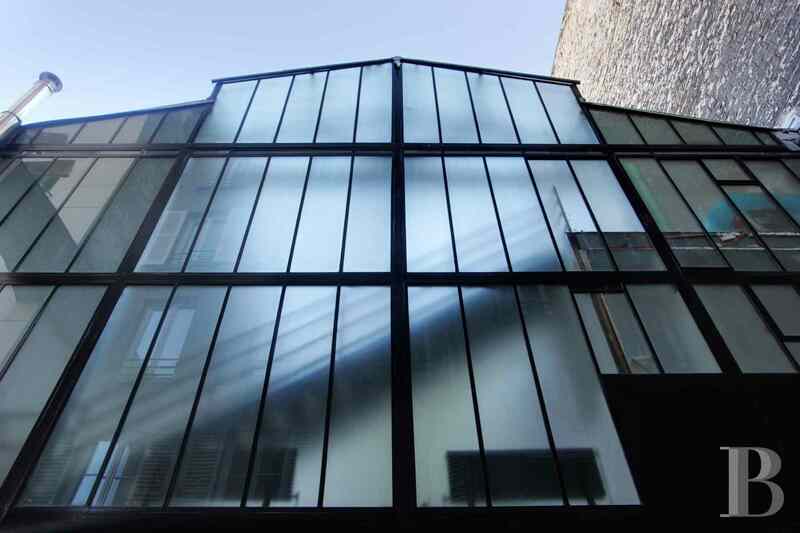 The first, spanning 12.61 m², is illuminated via two glazed walls and a skylight. A door provides access to the bathroom and toilet which separates the two bedrooms. The second bedroom, at the end of the balcony corridor, spans a floor surface area of 9.86 m². 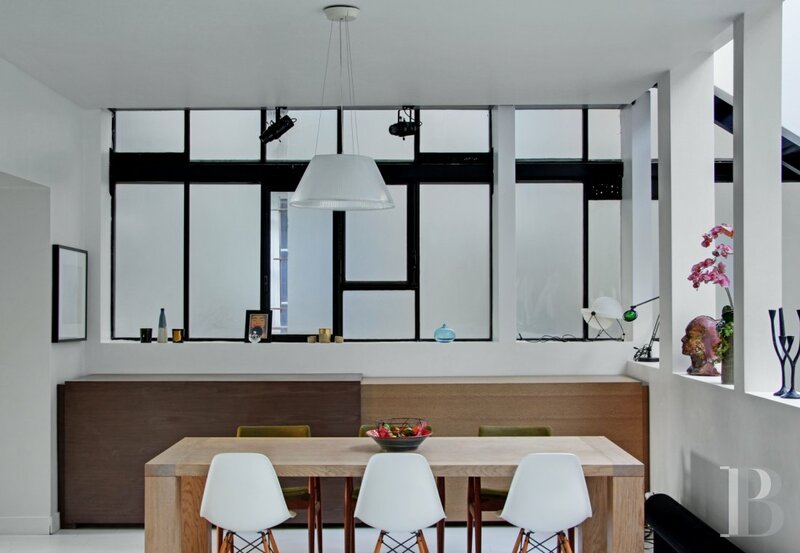 The floors on this level are covered with white-painted parquet flooring. 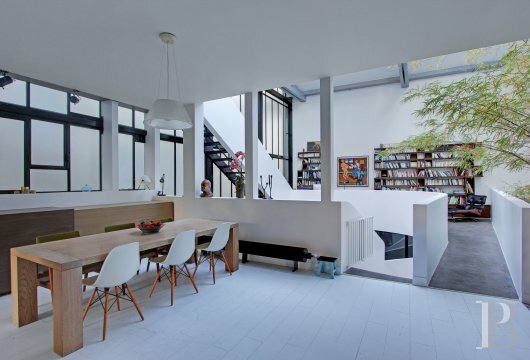 This open-plan flat achieves a sort of perfection. 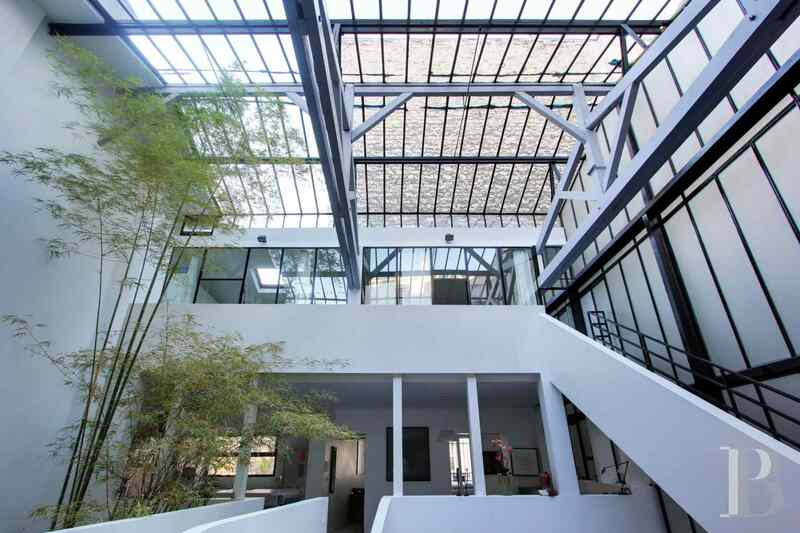 It is like a glass house, even if its style is very different from that of Chareau. Its industrial origins are authentic. 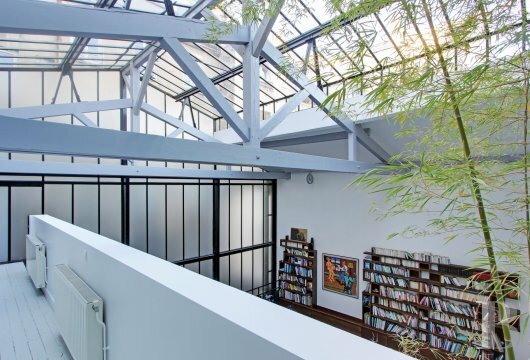 The designs of the metal structure for the glass roof and wall as well as the pure lines of the interior conversion are fascinating. The creator of the stairway is obviously an admirer of Paul-Getty. A cabinetmaker was employed here. 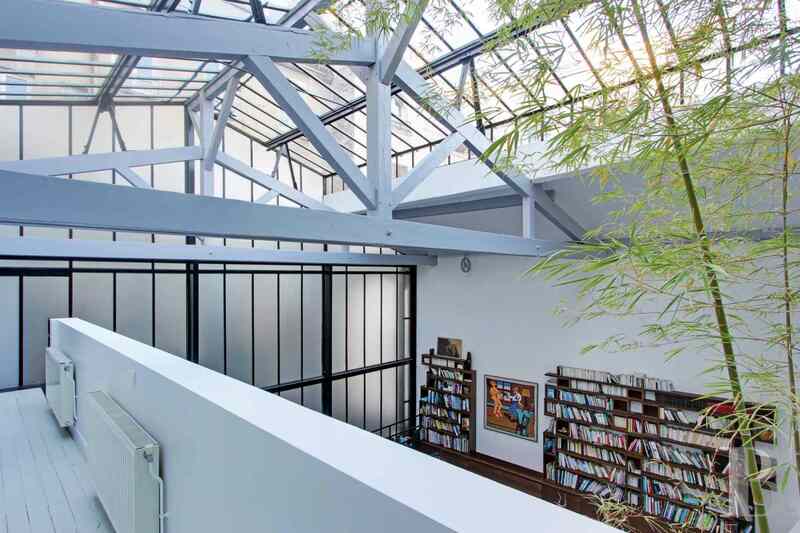 Having such high ceilings and extensive floor surface areas for receiving guests and, above all, for living in, is already quite exceptional in the centre of Paris. It would, however, be possible to extend via the purchase of an adjoining studio flat and the construction of a terrace, plans for which have already been drawn up.